Cars get little more specialist. They also, to our eyes at least, barely get cooler. The V60 has a lot going for it – quirky Swedish looks, a turbo- and supercharged engine, and some very geeky ten-way adjustable Ohlins dampers to ensure it rides and handles properly. There’s one snag: Volvo used to sell it with a sonorous six-cylinder engine, but has now fitted a downsized 2.0-litre four-cylinder. But thanks to that twin-charging, it produces 362bhp – more than its predecessor – which helps yield that 4.8-second sprint, 0.2secs quicker than before. 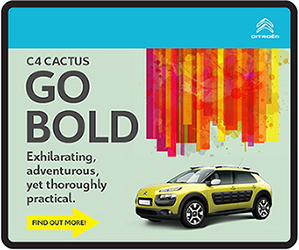 And crucially, you can still buy it in Rebel Blue and you can expect it to remain sought after. Honourable mention goes to both the Volkswagen Golf R estate, and Mercedes-AMG C 43, both recording the same 0-100km/h sprint time (4.8s). 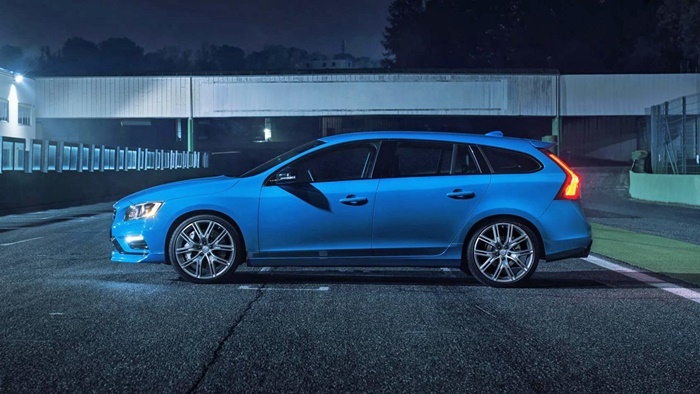 We’ve picked the Polestar for our top ten for obvious reasons. 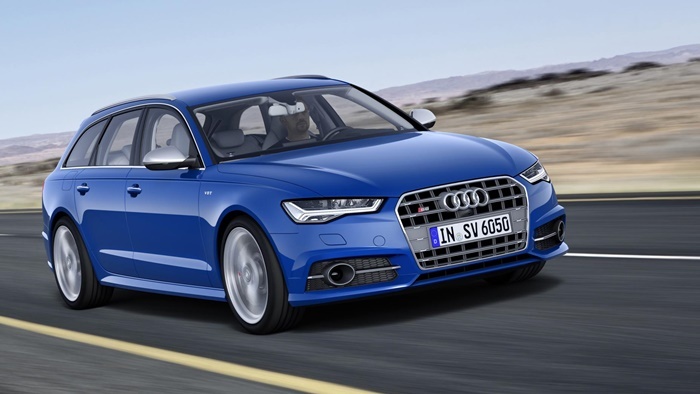 The Audi S6 used to be quite interesting. One generation used the 5.2-litre V10 from the Lamborghini Gallardo, but looked no different to a typical 2.0-litre TDI. It wasn’t the sharpest of tools in the box, but it was quick and brilliantly subtle. The current car is also subtle. You hardly see any around - we can’t quite work out whether it’s because Audi don’t sell many, or that we can’t tell them from Adam. We suspect it’s the former. 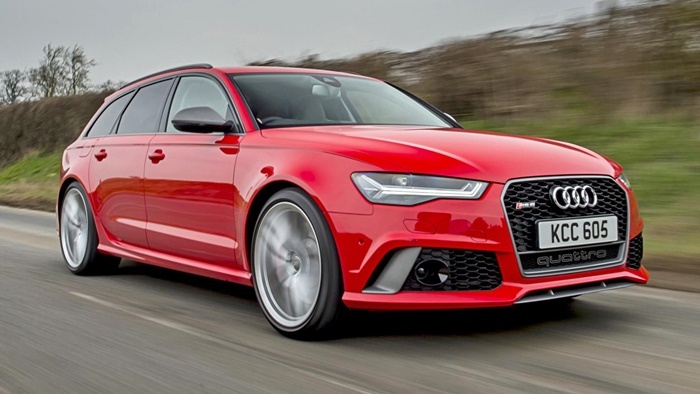 No matter - like the S4 Avant, fast, capable and comfy, but not the most involving. 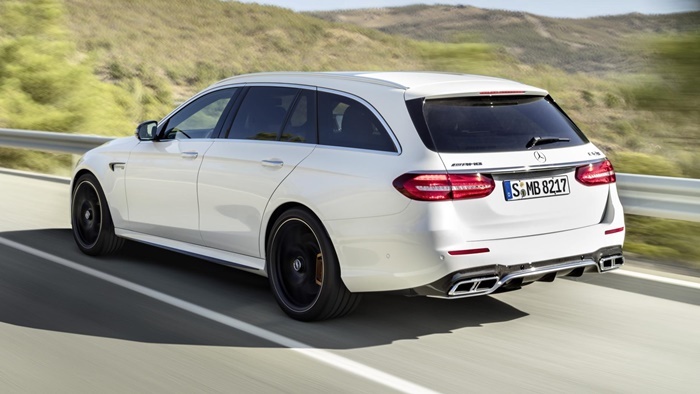 The first of a mild onslaught of AMG-powered wagons starts with an estate car that – bear with us – is actually the estate version of the four-door coupe version of a hatchback. Yes, in the weird old world of German carmaking niches, the CLA Shooting Brake is as odd as they come. But it actually looks terrific, which might make you forget it’s little bigger than a Focus estate inside. 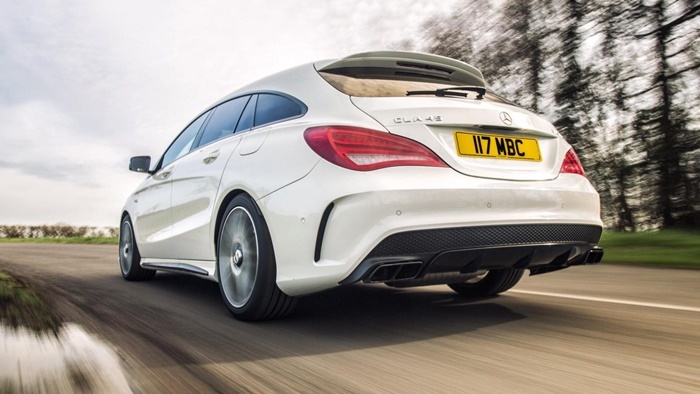 The AMG uses the same 2.0-litre four-cylinder as the A45, so the hard-edged soundtrack and ballistic performance are all intact. Here, don’t forget, is a small estate car that’s as quick to 100km/h as a V12-powered Ferrari 575M. Alpinas have always just been cooler than BMW M models - don’t ask us why, it’s just the way the world is. They’ve also been fast, too. This new, refreshed B3 S Biturbo gets, predictably, a twin-turbo setup powering a 3.0-litre straight-six, producing 434bhp. 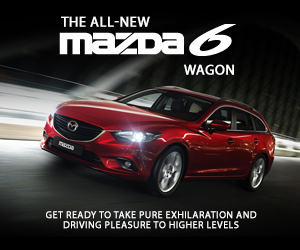 Sent to the rear wheels, and wrapped inside an estate body, it will go from 0-100km/h in 4.3s. Like the sound of the E63, but want to sacrifice some of that luggage space to get swoopier styling and something you can call a ‘Shooting Brake’ rather than an unglamourous estate? Step this way. The CLS is the CLA’s bigger, posher relation. Buy while you can. 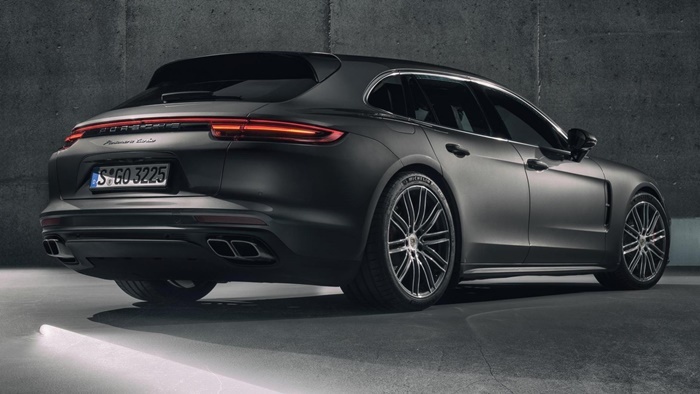 Porsche’s first estate is a booted Panamera. 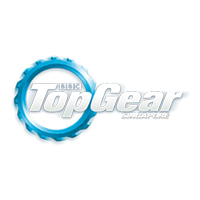 All but the base car deserve a spot on this list as we’ve mentioned earlier (even the diesel) but the Turbo is the fastest. Two tonne kerbwight is shrugged-off by a turbo V8 with 550bhp. Audi are notorious for underestimating their performance figures. Get a flat straight on a dry day (on track, of course) and we reckon 3.7secs may just seem pessimistic. Yet there’s so, so much more to the mighty RS 6 than its Top Trump-ability. It’ll swallow just about all of your things, it’ll travel with unstressed, indecent haste everywhere, and with its subtly blistered arches, it’ll look impossibly cool doing so. “Settle it into a corner, squeeze the pedal, and it will balance neatly and scoot out like it’s been fired from a spud-gun,” said we, when we drove the RS 6 Performance recently. Until recently, the quickest estate on sale. Still a class act. While BMW ponders on its new M5, Alpina has dealt its hand early. And what a hand. A 600bhp, twin-turbo 4.4-litre V8 rests up front, driving all-four wheels to record an astonishing time of 3.6s. That’s just a tenth off the saloon’s 0-100km/h time. 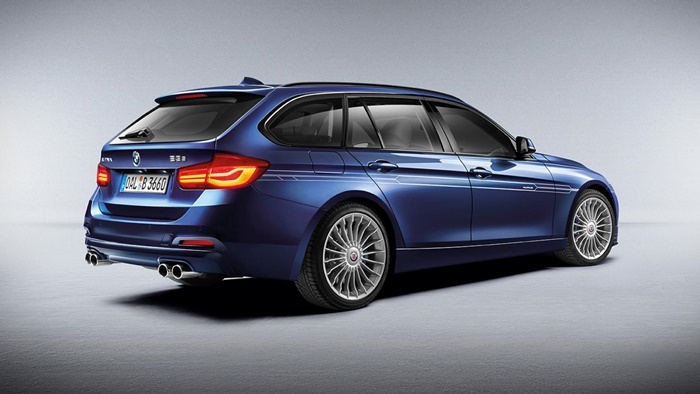 From there, the Alpina Tourer will run on to a top speed of 324km/h (the sedan pushes on to 330km/h). This is a very fast, and, you’d have to agree, very subtle car. And those 20-inch wheels… excuse us, we’re having a moment. Standard equipment includes a sports exhaust with Comfort and, um, Sport settings for uncorking V8 noises and adaptive suspension with dialed-up stiffness in the racier modes. Brakes are 395mm a the front and actually slightly larger at the rear: whopping 398mm discs out back, in fact. Ceramic brakes are an option. 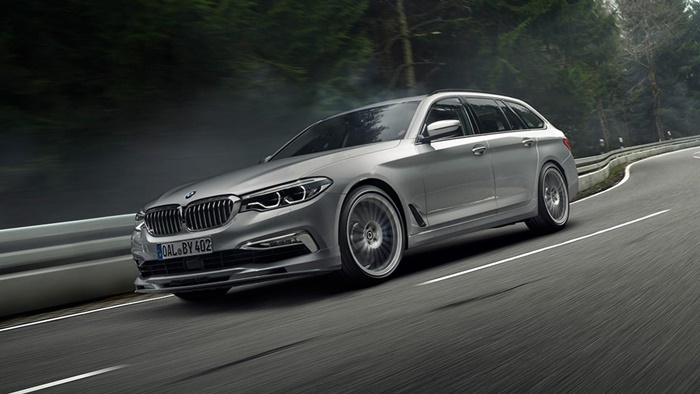 This is one serious super-estate. You want the estate. We do. 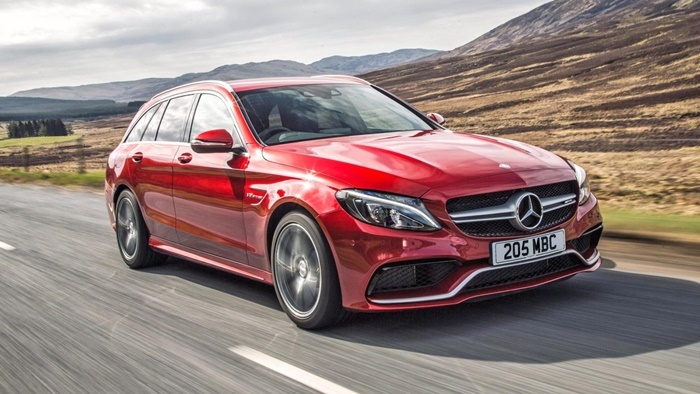 …then topping our list comes AMG’s biggest, most luxurious estate. 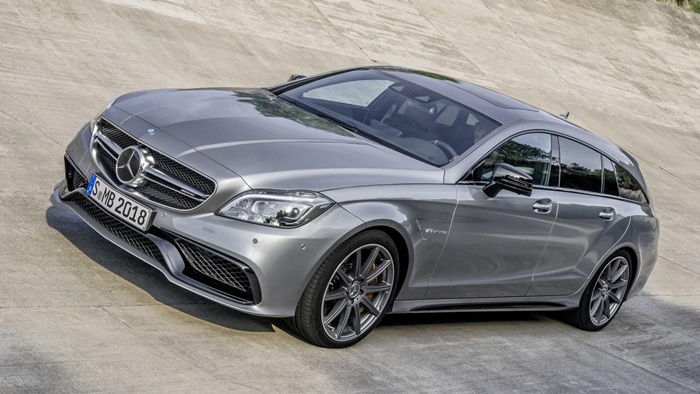 A biturbo V8 with AWD means 0-100km/h in the mid-threes, but buy the S and you can tell it to send every last drop of power rearwards for maximum drift. It’s a really, really good thing this.